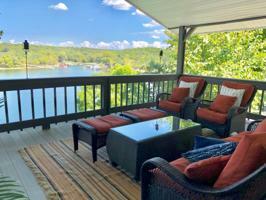 LAKEFRONT lifestyle is easy with this beautiful home located in Raper Hollow! Fully remodeled featuring a home theater room with surround sound, updated appliances, alarm, storm shelter and a large game room! Home has TWO master suites on upper level with a Jacuzzi tub in EACH. Two additional bedrooms on lower level. Custom wood finishes throughout give this unique home a one of a kind feel! 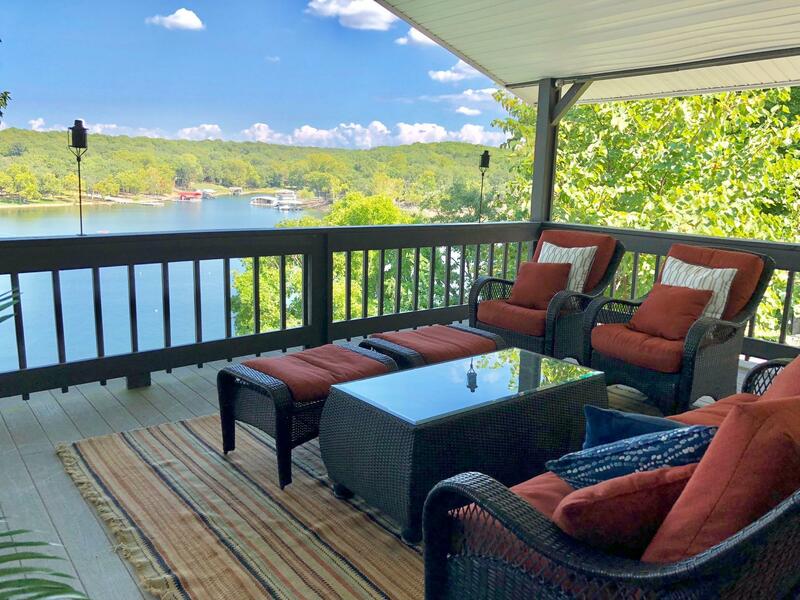 Windows stretch along the entire back where you'll find your over-sized deck with plenty of room for entertaining and enjoying your breath-taking view of Grand Lake! This home has so much to offer, you must see to appreciate! Boat dock is a double slip dock with lifts in each slip. Deep waterfront for excellent fishing! You also have a fire pit with side patio area for additional entertaining! On Hwy 28 (Near Disney, Eucha,) to Harris Drive, turn left & then right on Washington, go straight to Cliff Drive. 4th house on your left.